We know you have been anxiously awaiting registration for our 2012 projects, today is finally the day for both iCare and SuperKids! I heard you ask…”Where in the world do I apply? !” You asked the right person. 1.) Email tiffany@gsjamaica.org for iCare Application! 2.) superkids@gsjamaica.org for SuperKids Application! 3.) You will in return be emailed the application and WA-LA you will be on your way to Jamaica! iCare is a visionary project; there are no public health eye care providers in western Jamaica. Volunteers include opticians, ophthalmologists, students and anyone interested in eye-care projects. When eyesight is corrected with prescription glasses, children can learn to read and adults can gain employment. 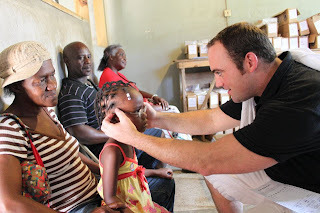 iCare provides the gift of clear vision, which empowers Jamaicans to improve their lives, community, and infrastructure. SuperKids is a two-week educational project that sends resources, volunteers and training to rural areas were literacy rate is 40%. 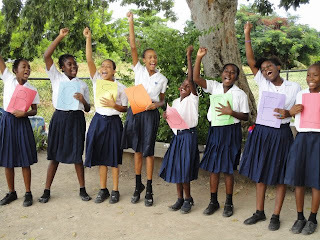 We help improve literacy and computer education, sponsor uniforms and encourage sports, music and arts for thousands of Jamaican children. Now that you have all the information, it is as easy as 1, 2, 3! Ready, Set, GO!